5 of our most popular budgeting resources are here for you to use. We have a number of budgeting tools that can help you put together a budget and manage your money better. Here are 5 of our most popular budgeting resources. Start with whatever one grabs your interest or seems like it might work for you. Here is our highly requested 7 step workbook that helps tens of thousands of people develop a personal budget every year. It can work for you too. This workbook is available as either a plain PDF download or a fillable PDF download. If you wish to receive a printed version of this workbook, please contact us to obtain a copy. 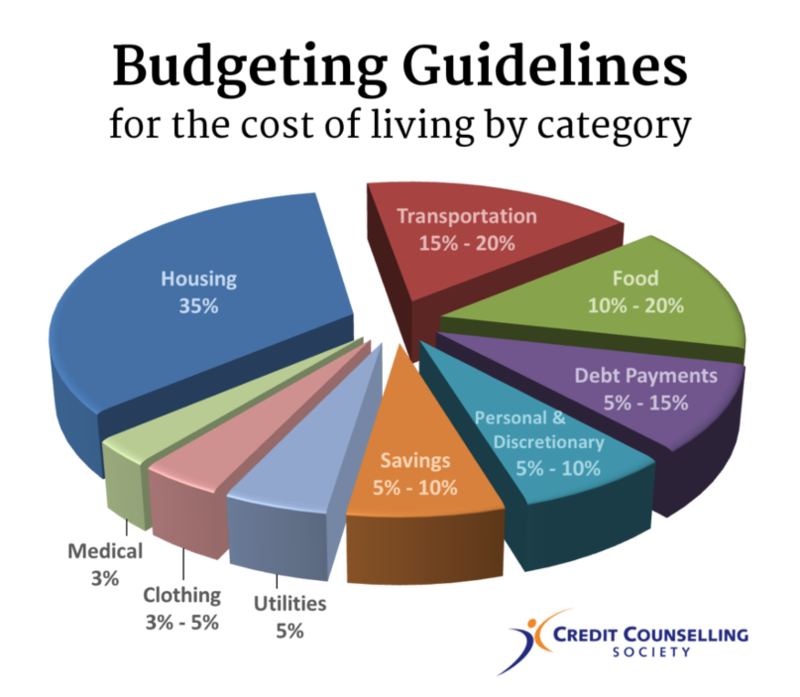 A lot of people wonder how much of their income they should spend on their home, vehicle, groceries, clothes, etc. 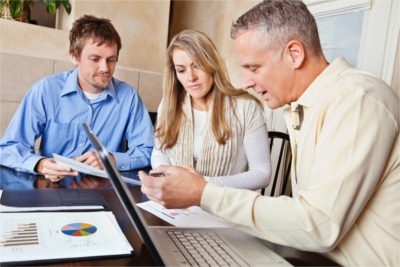 Below are some guidelines to give you a general idea and provide you with a starting point for your budget. Based on your income, family circumstances, and the part of the country you live in, your allocations may be very different. To work with these budgeting guidelines, begin by developing your budget with the money you have available after government deductions from your pay cheque, but before voluntary deductions such as RRSPs, pensions, or other savings. If you have expenses such as high debt payments, childcare, school expenses, or giving, you will need to reduce your spending in other areas to allow for these higher expenses. Plan to save money for expenses that don’t occur every month, as well as for your future. Then you’ll have a little extra available when you need it. Many people find that their budget is quite tight when their monthly debt payments are close to 23% of their net income. You're not spending more than you earn. You're allocating some money towards savings (savings are absolutely necessary for life's many unexpected expenses. Don't rely on credit for these unexpected expenses. Rely on money you've saved). The category in these guidelines that people will most commonly exceed is the Personal & Discretionary expense category. The guidelines suggest you spend 5 - 10% of your income in this category. However, if you happen to have young children in daycare, have high education costs, take nice vacations, tithe, or have hobbies or recreational interests that aren't cheap, you'll quickly exceed the suggested maximum for this category. Please know there is nothing wrong with exceeding this limit as long as your budget balances (your expenses don't exceed your income). You may also notice that if you spend the maximum amount in every category, you'll exceed 100% of your income. These guidelines are only recommended ranges. Life is all about choices, but you can't choose the maximum amount in all spending categories. Spending more in one category may mean that you'll have to cut back in another category to make your budget balance. If you live in Canada's far north or in a city where homes are very expensive, you may have to cut back more than an average Canadian would in certain categories in order to afford your higher living costs. In these cases, you will most likely exceed the suggested maximum guidelines for Food or Housing. 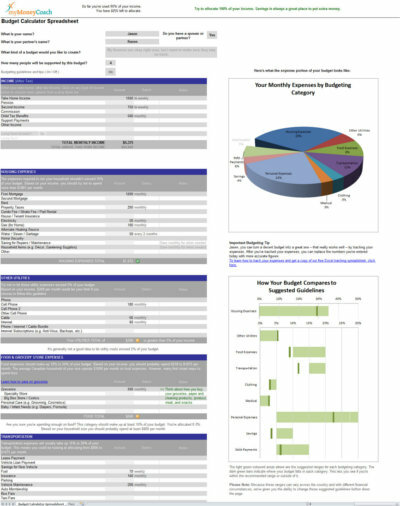 To make things easier for you, we've incorporated these budgeting guidelines into an Excel Budget Calculator Worksheet that calculates all these categories for you, lets you know how your budget is comparing to them, and guides you as you create a budget. You can download it below. To make budgeting easier and more fun, we've created a budget calculator that guides you as you create your own budget. It makes suggestions and warns you if you appear to be spending too much money in any area of your budget. Once you're done, it can take a look at your budget and see if it can find any ways for your to improve your spending plan or save some money. The budget calculator is also a personal budget template that can be used just as easily for household or family budgets. You can download it to your home computer for use in Excel (on a PC), Numbers (on a Mac), or Open Office (if you don't have Excel or Numbers). To see when webinars are taking place that you might like to attend, check out the webinar schedule, and register to attend any that are of interest to you. Tracking where your money is going is the process of writing down what you spend. 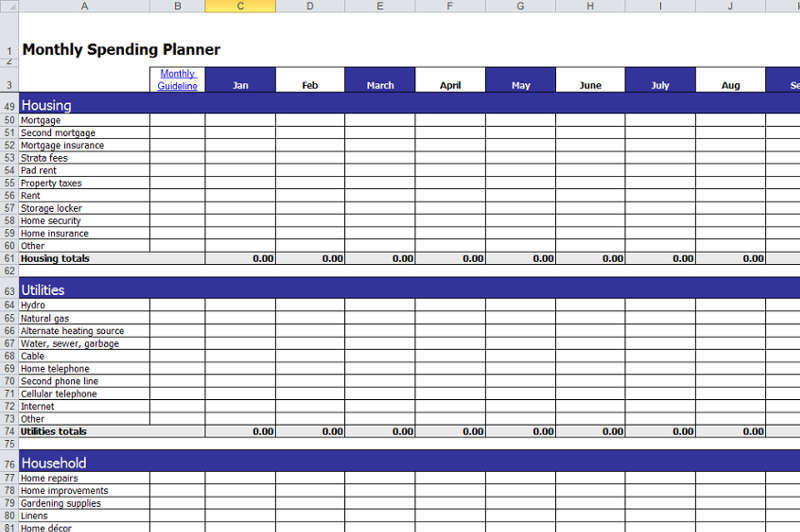 You may use a little notebook to do this, a spreadsheet, an app on your phone or tablet, or other software programs. You may track as you spend money or you might collect receipts and track at the end of the day or week. Regardless of which method you choose, the purpose is the same; you want to see what you’re spending your money on so that you can make some decisions about how to spend it more wisely. 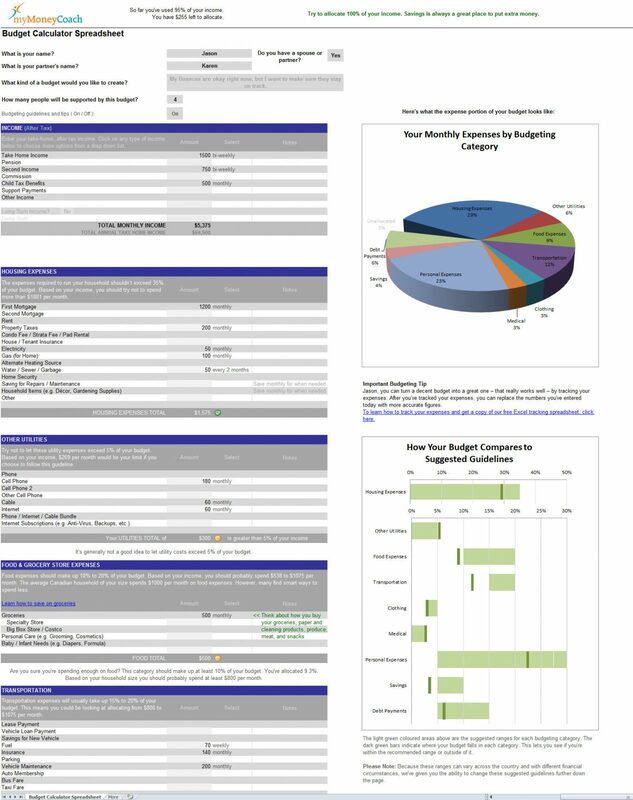 If you want to personalize your tracking and you like using Excel, try this comprehensive expense category Excel worksheet. Rename any category to make tracking easier. 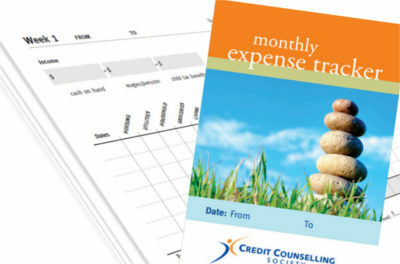 If you want to track your spending by writing down your expenses, download this handy Monthly Expense Tracker booklet and print some copies. If you'd like some help with your budget - or help creating one - one of our budgeting experts would be happy to help you. All of our Credit Counsellors have tremendous expertise at helping people create and fine-tune budgets to get the most out of their money and achieve their financial goals. If you're struggling with your finances right now, putting together a realistic budget is the very best place to start, but we don't stop there. One of our Credit Counsellors can also help you explore all your options to get your finances back on track and help you put together a plan to get out of debt. You can meet with a Credit Counsellor in person or over the phone - whichever option is better for you. Call us today to make an appointment. We're here to help you. Appointments with our Counsellors are always free, non-judgmental, and completely confidential.